Simple way to do some Visual Composer Grid cleanup, when you are using Bootstrap within your theme. This removes and cleans up classes. When you replace “vc_” it removes the background image in a row. Not sure why. Updated the above code accordingly. Hey Alex, great job! So we can forget about the .container and container-fluid wrapper class from bootstrap or how do you handle that? 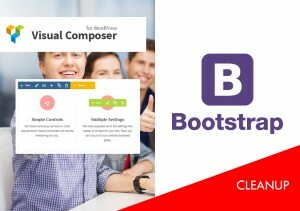 it will behave just like a standard bootstrap theme. Some tweaks might be needed, depending on addons used or special use cases.